It wants to focus on India and other emerging markets, while at some stage, perhaps sometime in 2019, it may also look at a foray into the US market. It already has an office in Boston and is scouting for a partner in the US. 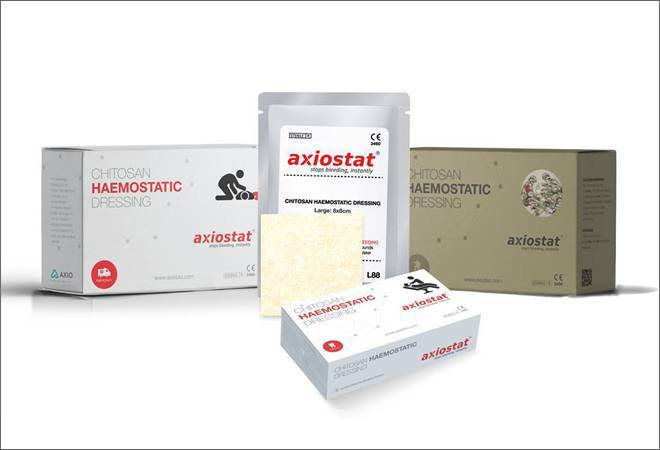 Being touted as the first US Food and Drug Administration (USFDA) approved wound-care product from India, Axiostat stops uncontrolled bleeding from wounds. Easy to use, it is a handy pack of about 8X8 centimetres. The patch when applied on a wound, reacts with blood and within a minute of application forms a clot and becomes an extremely sticky adhesive. Talking about the product, Leo Mavely, founder and CEO of Bengaluru-headquartered Axio Biosolutions, says, while the company was set up about a decade ago, it went commercial only in 2014. It got the approval from the US drug regulator in February this year. The company has so far supplied the product to the Indian army and some of the military and private (corporate) hospitals. "So far, we have shipped close to 450,000 units. About 18 months ago, we set up our own manufacturing unit (earlier used to outsource) in Ahmedabad with a capacity to make 850,000 units per annum and this we hope will handle demand for the next two years," says Mavely. The technology, he says, has a patent in India and is one of the first product in the world to have 100 per cent active ingredient - Chitosan - sourced from shellfish. "It is a novel biomaterial and we source it from shellfish. It has no protein content so is fully biocompatible for use in human body," says Mavely. The product is made 100 per cent from the active ingredient - Chitosan - and that is its USP. The company has already raised a total of over Rs 60 crore from Ratan Tata's RNT Capital (early this year) and earlier from Accel Partners and IDG Ventures India. It wants to focus on India and other emerging markets, while at some stage, perhaps sometime in 2019, it may also look at a foray into the US market. It already has an office in Boston and is scouting for a partner in the US - could be a group purchasing organization or a large distributor that works with the public health system in the US. Axio Biosolutions has close to 100 employees, including those in the R&D, sales, production and quality. Mavely, who holds a B. Tech in Bioengineering from the MDU, Rohtak and advanced diploma in managing tech ventures, is passionate about med-tech innovations for unmet healthcare needs and founded Axio in the final year of his college, about a decade ago. His current focus is on building awareness on the need for product like this, be it in India or other markets. In US for instance, he talk of the US homeland security's 'Stop the Bleed', a national awareness campaign intended to cultivate grassroots efforts that encourage bystanders to become trained, equipped, and empowered to help in a bleeding emergency before professional help arrives.